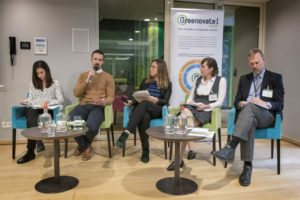 Brussels, 5 April 2019.-Education, training and awareness raising were identified as key factors to unlock the potential of 62 million tonnes of agricultural residues available annually in Europe during a policy conference organised by eco-innovation expert group Greenovate! Europe, where innovative examples of circular economy in the agro-food sector were presented. Rural areas cover more than 50% of Europe’s surface, and provide food and natural resources to millions of European citizens each day. Most of these resources are currently supplied to cities, but how can we move towards a more circular economy, and return to rural areas the benefits they bring to society? Whilst a traditional industry, the agro-food sector can benefit from opportunities arising from the development of circular business practices. In that sense, new business models are emerging across the world to address climate challenges and contribute to the revitalisation of rural areas. 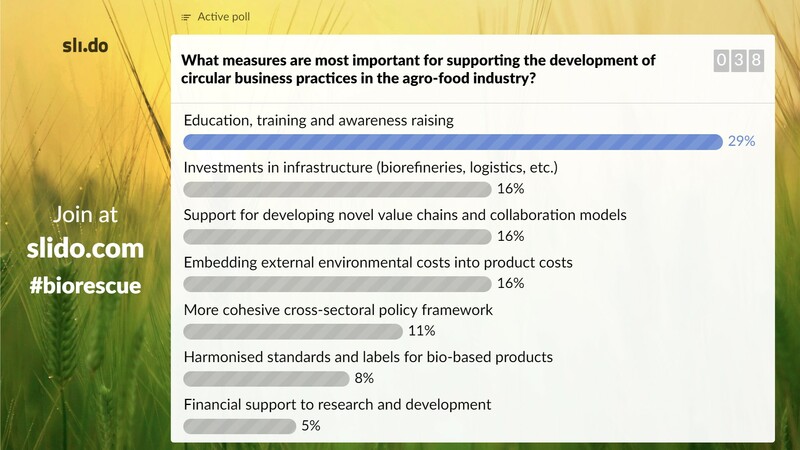 These topics were discussed at the conference “Towards a circular agro-food industry” on 4 April 2019 in Brussels, which identified solutions to deploy circular agro-food systems across Europe. The conference, which was also the final event of the EU-funded BIOrescue project, brought together over 80 participants, including policy makers and industry players, as well as key representatives from research institutions. A biomass boiler using miscanthus and flax waste installed by Stephan Henry, a rural entrepreneur based in Belgium. Highlighting the benefits of circular economy for rural areas, participants also discussed the barriers faced by agro-food businesses in the adoption of circular business practices. The BIOrescue project presented and debated a set of policy recommendations towards the development of a circular economy in European agriculture. Investment in research initiatives, and especially public-private partnerships such as BIOrescue, is still needed to help connect the agro-food sector with the potential offered by the bio-based industry. In agro-food value chains, collaboration and training, as well as investments in infrastructures and logistics, will also offer strong incentives to the sector to close the loop towards more circular business practices. But for the circular economy to become a reality in the agro-food industry, a clear and cohesive policy framework with stronger integration of policy objectives across sectors, promoting a cascading use of biomass sources, will be key to create a level playing field for bio-based products, avoiding competition with bioenergy while considering their contribution to climate change mitigation. You can find here the agenda, handouts and pictures from the event (Photography Simon Pugh). Presentations can be downloaded below, and the policy recommendations and final publication from the BIOrescue project are also accessible online. For more information, you can visit the BIOrescue website at www.biorescue.eu, read our latest publication, watch our project video, and access further project communication material in our Media Kit.